The holiday season is all about love, peace, magic, and mistletoe, which also makes it a perfect season for spending time with someone special. Here are 10 fun and festive date ideas for you and your date to enjoy this winter! 1. The Holidazzle celebration in Minneapolis is a beloved tradition for lifelong couples and those just starting out. Bundle up and enjoy holiday movies in Loring Park and experience the beauty of winter fireworks on Saturday nights. At the European Christmas Market in Saint Paul, you and your date can explore an old-world, classic European style market together and even accomplish some of your holiday shopping as you browse the local artists and vendors. 2. Enjoy a daring date on skis when you and your date buckle up for Adult Ski Date Night on Dec. 14 at Elm Creek Park Reserve. This fun class includes a ski lesson, equipment rental and two tubing tickets, and all experience levels are welcome to participate. 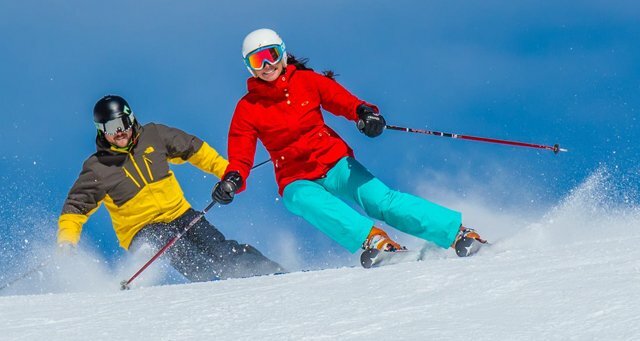 Learn to ski together or brush up on your skills. Either way, you’ll both feel exhilarated flying through the snow! Adult Ski Date Nights are available throughout the winter months; contact Elm Creek Park Reserve for additional dates and time. 3. Sharing the experience of an intimate holiday performance is a lovely way to celebrate the season while getting close to your significant other. Head to Le Musique Room on Dec. 23 for Mick Sterling Presents: At Christmas, a live comedy music concert guaranteed to warm the heart. Written and performed by Sterling and alumni of the riotous Brave New Workshop, it’s like a holiday “Saturday Night Live”! 4. 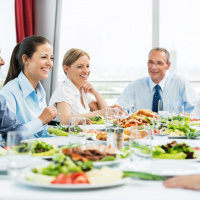 Make the holidays special when you try a new restaurant with your date. 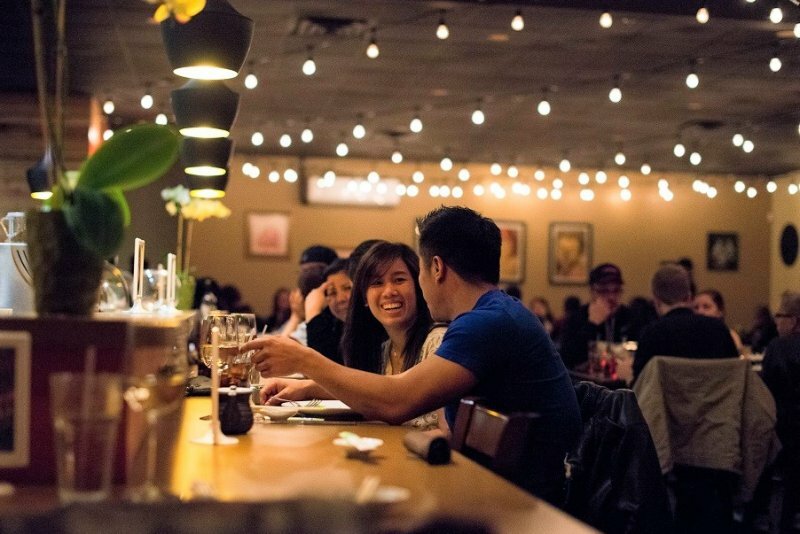 For a quaint location, try Lemon Grass Thai in Brooklyn Park. Not only is the food beyond expectations, the low lighting and laidback vibe make it a great date spot. Or head to Brick & Bourbon to relax in a chic and spacious environment with cocktails brimming with promise. And nothing is quite as cozy as a flavorful steak dinner at Pittsburgh Blue. Split a bottle of wine over a savory meal of steaks, ribs or wood-roasted chicken, and don’t forget dessert! 5. Skate hand in hand – or mitten in mitten – at the iconic Wells Fargo WinterSkate at downtown Saint Paul’s historic Landmark Center. 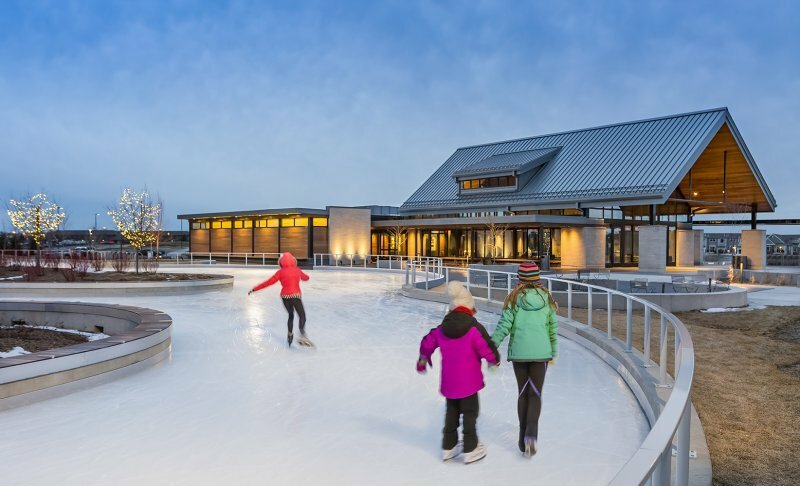 You can skate at night under the stars and lights at the Central Park Ice Loop in Maple Grove – one of the only ice skating trails in North America. There are also lots of open skate opportunities at the Maple Grove and Brooklyn Park Indoor Ice Arenas. 6. Spice things up with a cooking class this December at NOLA Bistro & Lounge, an ethnic fusion restaurant and bar with a flair for the unusual. You and your partner will laugh and bond over spices and unique ingredients as you learn to cook Indian, Thai, Mexican or Persian cuisines. After the two-hour culinary adventure, sit back and sample the dishes you’ve created together over craft cocktails. 7. It wouldn’t be the holidays without seeing the lights. Warm up the car and turn on your favorite holiday tunes as you and your date drive around town viewing all the holiday lights and displays. 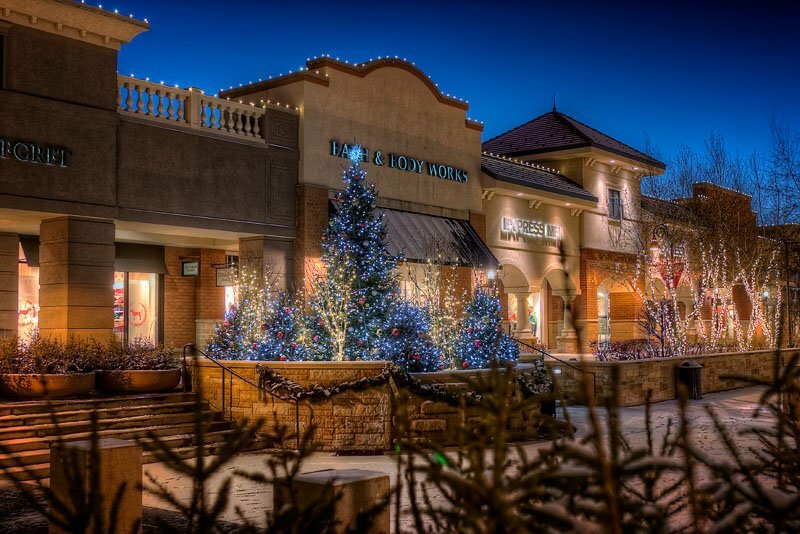 You’ll “Ooo” and “Ahh” at the spectacular displays in Rice Park and on Summit Avenue in Saint Paul, Nicollet Mall and Lake of the Isles in Minneapolis, and the Shoppes at Arbor Lakes in Maple Grove. 8. 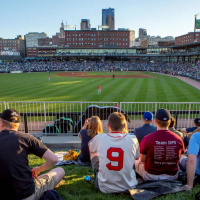 With the holidays comes spectacular holiday theatre experiences nearby Minneapolis Northwest. The Guthrie Theater’s A Christmas Carol continues to be a Minnesota classic as it celebrates 44 years this season. Lyric Arts Main Street Stage in Anoka offers two delightful seasonal productions this year, Prancer and Winter Wonderettes. And the don’t miss the madcap farce Miracle on Christmas Lake at Yellow Tree Theatre, written by the theatre’s co-founder, Jessica Lind Peterson. 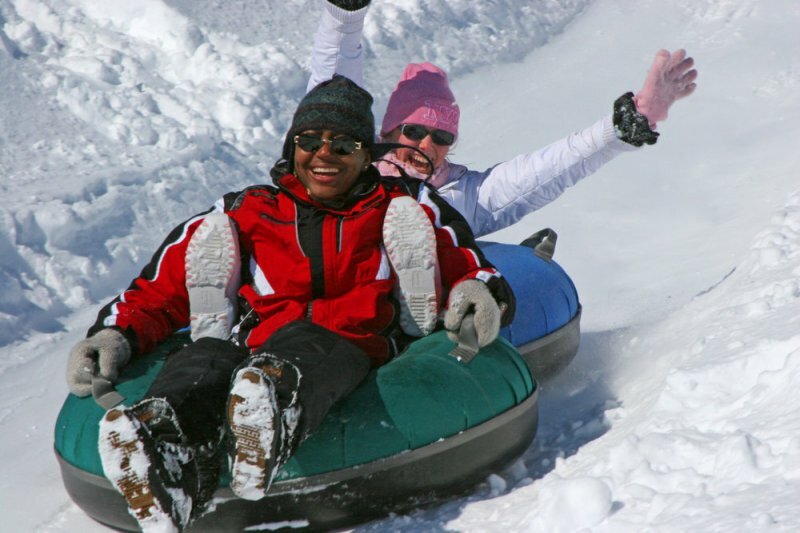 9) For more outdoor adventures, head back to Elm Creek Park Reserve where you can connect snow tubes and fly down the 10-story tubing hill! A moving sidewalk takes you back to the top of the hill, so you can zoom down again and again. Afterwards, snuggle and sip hot chocolate in front of the roaring fire in the Elm Creek Chalet. 10. 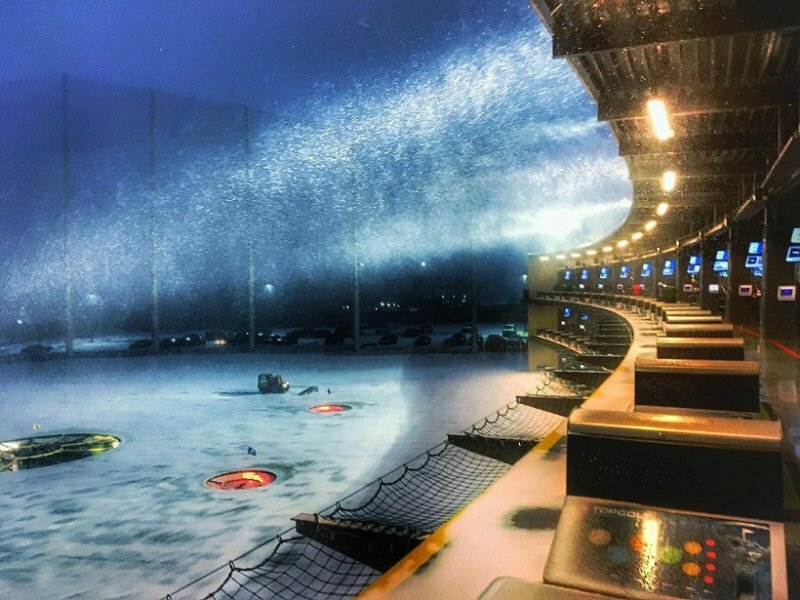 Outdoor golfing during a Minnesota winter may sound outrageous but it’s far from impossible with Topgolf, the internationally recognized golf entertainment venue in Brooklyn Center. 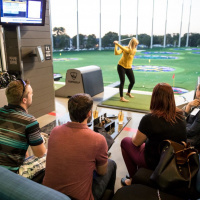 You’ll be plenty cozy in the climate-controlled hitting bays, and delicious food, soup of the day and smooth drinks will keep you fueled as you drive and chip away. Bonus tip: Be sure to check out the rooftop patio with a fireplace and view of the Minneapolis skyline. For more ideas for holiday fun, check out Making Holiday Traditions in Minneapolis Northwest and our Holiday Shopping Favorites! We love to hear about the cool things you do this winter. Share your photos and stories on our Facebook, Twitter and Instagram with the hashtag #WeLoveMNW for a chance to be featured on our website!